It’s no surprise that kids today are growing up in a different world than the generations before them. Although this sentiment is often conveyed as a bad thing, one positive difference is that kids are learning at a young age how to treat our planet better. Today, those lessons can be found in many places, including from the comfort of their nearest electronic device. 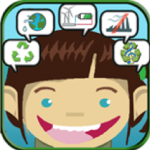 Here are 6 of the best iOS games to help make your kids more eco-conscious. 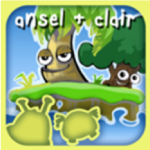 Ansel & Clair is an educational app series. 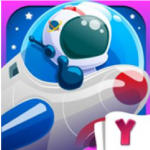 This game focuses on actions kids can take at home to make a positive difference in the environment. With specific messages about pollution, current environmental events, and the benefits of prevention, protection, and clean-up, this game keeps kids both entertained and engaged. With 18 different levels, each focusing on a current environmental issue, kids will learn what they can do to protect the environment. 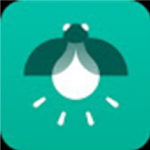 This app provides real-life examples of how to be more sustainable in everyday life. Adaptable for people of all ages, Joulebug keeps track of the sustainable practices you achieve and gives suggestions on how to implement even better habits to promote eco-consciousness at home. Through the use of videos and games, kids can track and share how they’re making a difference through more sustainable habits. Kids can even challenge their families, friends and school! A collection of the first five Eviana games, kids can discover ways to save the environment through water conservation, recycling, green power and preventing pollution. A simple game for younger kids, it’s made fun through the cheerful nature of Eviana, great background music and an easy to follow lesson. This app is designed to teach even the youngest among us how our actions are affecting our oceans. Through endearing ocean birds and fish, kids will learn what can be recycled, how to save water, and how to interact with our oceans without harming them. Kids will even begin to learn about everyday products they use and will inspire eco consciousness at the youngest of ages. 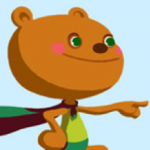 Help save the world by taking eco-action against the Evil Queen Ignorantia. She’s using Earth as her junkyard! Kids and their “recycling squads” will earn superpowers that can separate all the extra trash into plastic, glass, paper, aluminium and compost. This is a fun adventure game that teaches kids the importance of recycling and disposing of trash correctly. This world-building, educational game inspires kids to build swamps and marshes. Beginning with environmental elements like the sun, water and mud, the complexity of the biome is gradually revealed through the addition of other elements, like plants and algae, then insects and larger animals. The challenge for kids is to create and then keep their world in balance while protecting each part of the environment along the way. 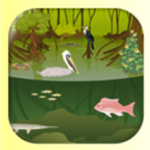 This game encourages kids to understand that every little thing is connected and that being eco-conscious also means protecting diverse habitats.